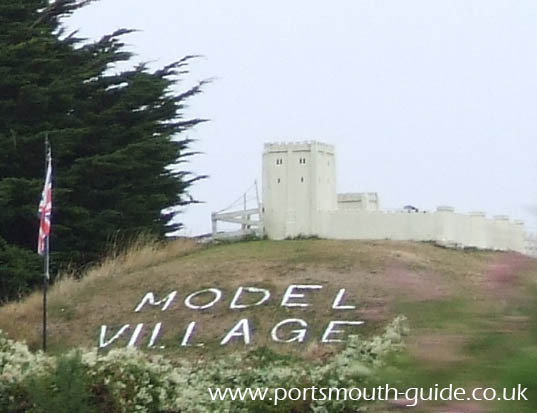 Portsmouth has its very own model village. It includes a working miniature railway and a variety of different buildings. The Model Village is located close to the Canoe Lake and Rose Gardens. It is located on an old fort site which up to about 30 years ago was a fort. It is now rose gardens and a model village. 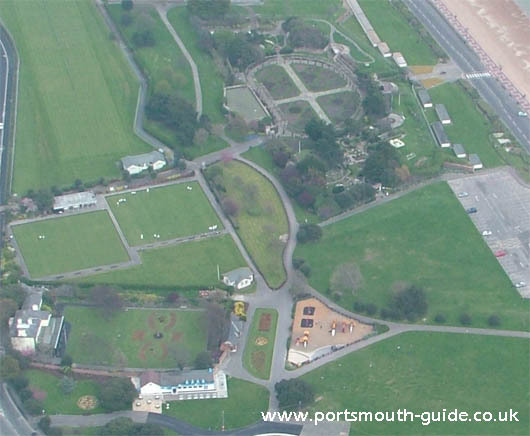 This is about the furthest away from Southsea Common area which is included in this section, probably about a 15 - 20 minute walk. The above photo shows Cumberland House in the bottom left corner and model village towards the top centre.